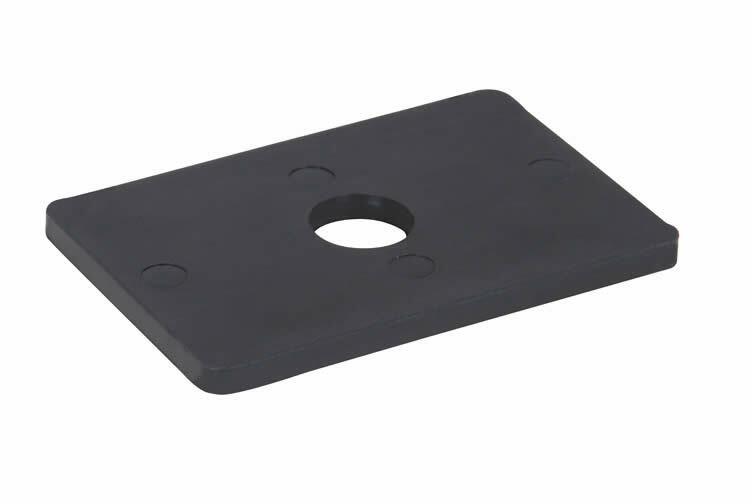 Manufactured as standard in Black Polypropylene or Black Flame Retardant VO Zero Halogen Phosphorus-Free UV Stabilised Nylon (LSF), this insulation plate can be used to provide a barrier where galvanic reaction may occur between dissimilar metals, e.g. when installing stainless steel cleats onto galvanised steel channel. Also available with 12mm hole.